No matter how long you choose to stay in a place while you’re on vacation that time must come to an end. When my husband and I woke up on the seventh day of our vacation we were both sad. Not because we were going home (we actually had almost an entire week left) but because it was our last full day in Barcelona. 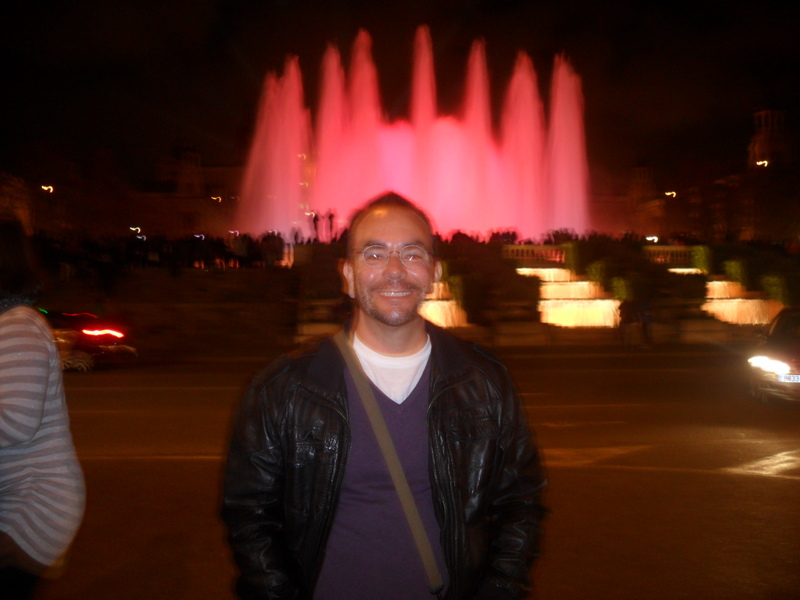 In 2011 Barcelona was the first European city we visited and even our return visit we still hadn’t gotten enough. We really do love that city and we both feel very comfortable there. The crowd at the breakfast buffet had completely turned over since our first morning. Plague boy was long gone and now that we were in Easter weekend there was a whole new batch of people. Unfortunately, that didn’t mean that we were free of trying to avoid people’s plagues. There seemed to be no end of the parade of people coughing and sneezing around the food we were all sharing. Our attractions that day took us back into central Barcelona. 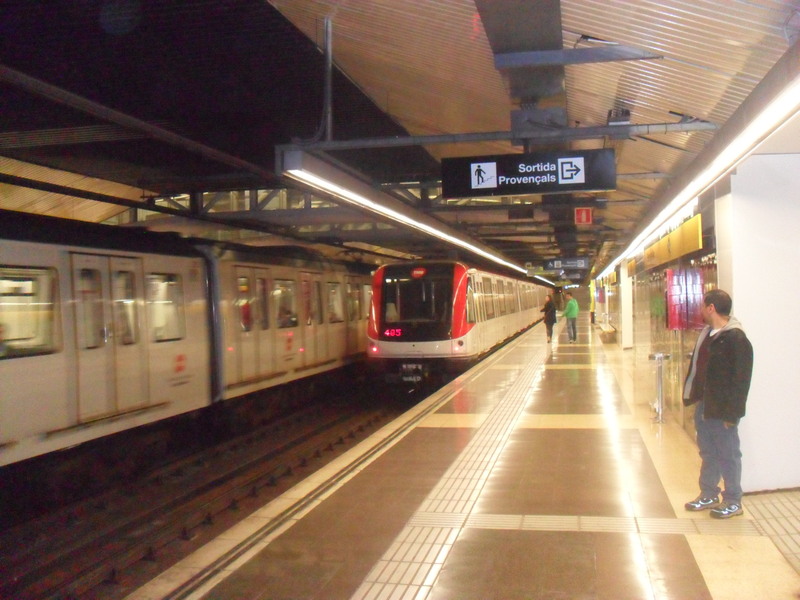 We exited the metro in Barri Gotic. 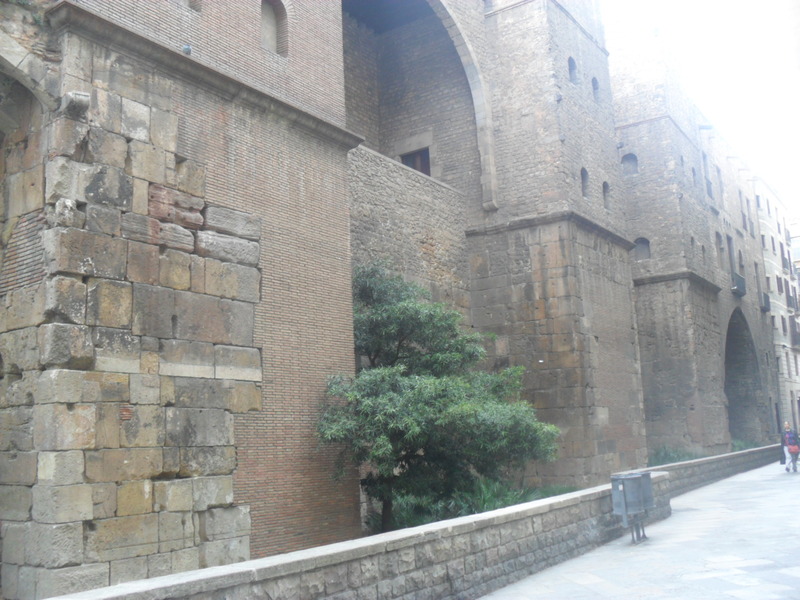 We had wanted to go on a guided Roman walk but we forgot our tour book with the route on it. I was very, very disappointed in myself for doing this. The Roman walk had been something I had really been looking forward to doing. Luckily, several of the roman ruins are easy to find but I still think we would have found things much easier if we had out book with us. Oh well…The first Roman ruin we came across was remains of the old city wall. While there were lots of ruins to try to find but we decided to focus on just two and to save them for a little bit later in the day. 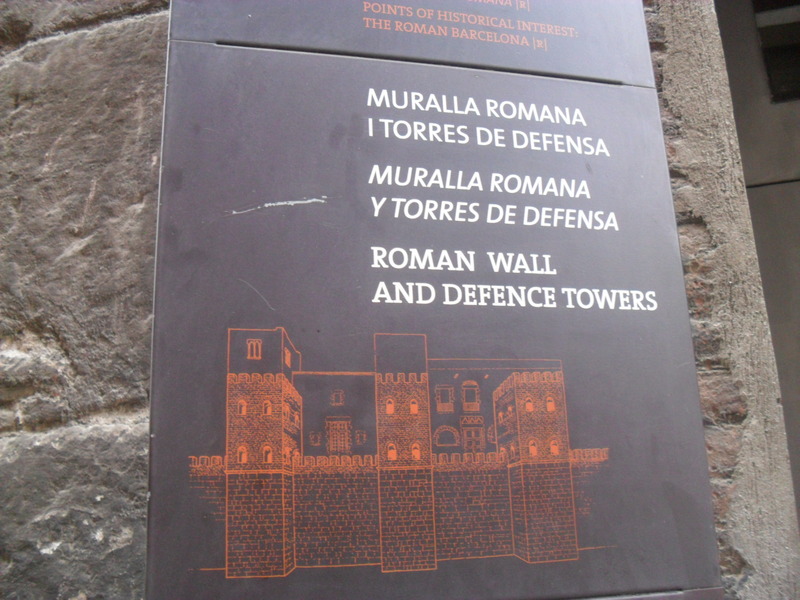 So, after taking some pictures of the remains of the city wall we worked our way across Barri Gotic to our next destination. 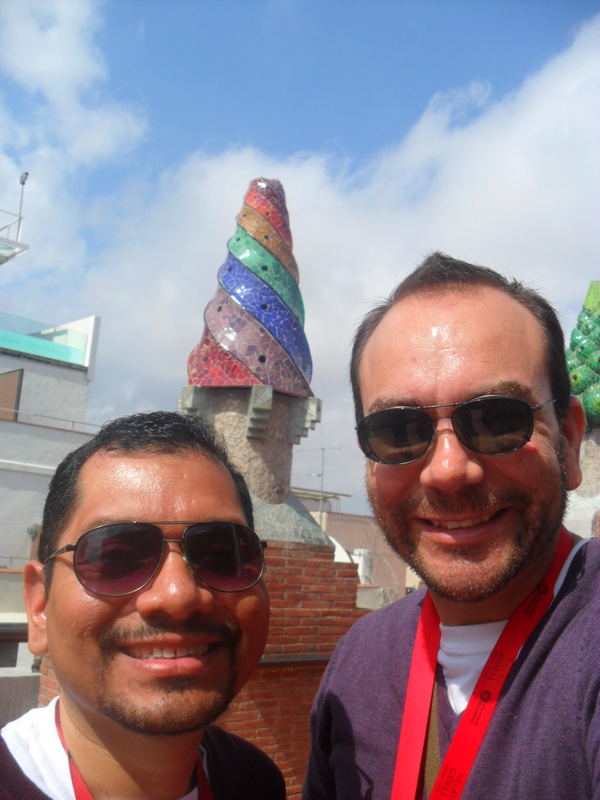 Our next stop was another amazing masterpiece by Antoni Gaudi. 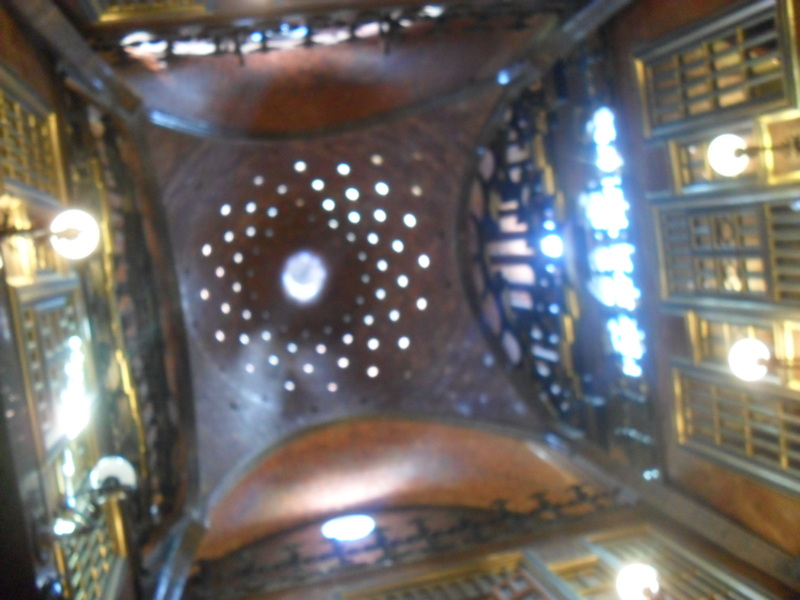 This one was called Palau Guell. This was actually the first house he designed in Barcelona. It wasn’t a distinctly Gaudi as Casa Batllo was but it was more Gaudiesque than La Pedrera. The house was very large and unlike La Pedrera you can see pretty much all of it since it’s just a museum and not a functional apartment building. 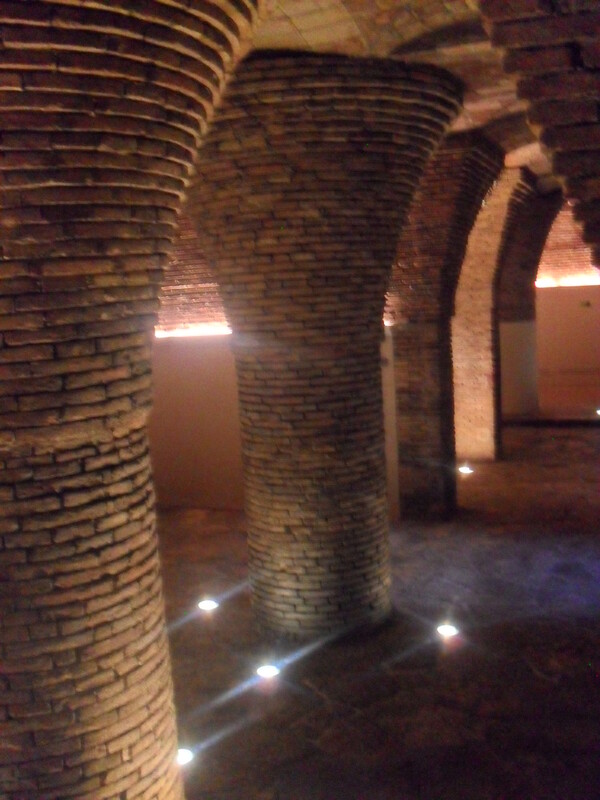 The basement used to be horse stables. 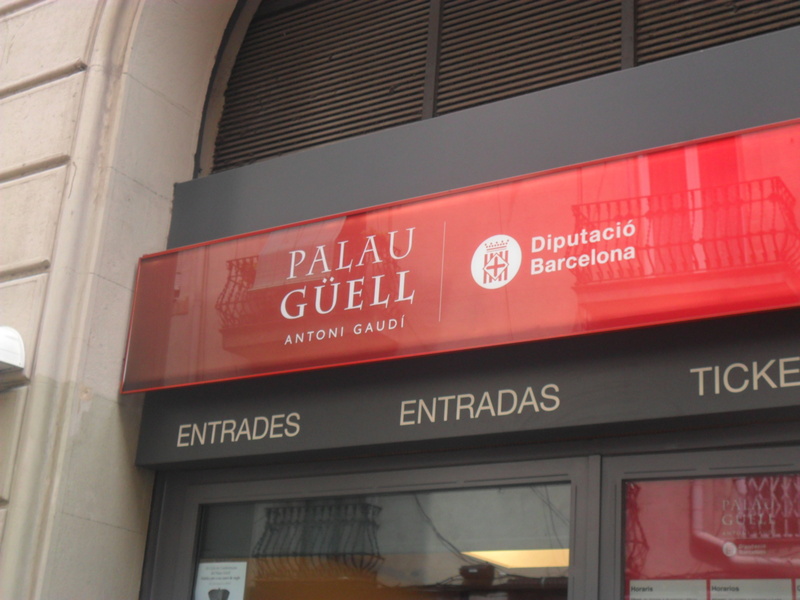 We spend a good couple of hours in Palau Guell. I tried to soak up every minute of it. As much as I love Barcelona and want to return you never know what life will bring you and even if I do get to return to Barcelona it will probably be several years from now. My favorite feature of Palau Guell was the cool chimneys on the roof. Much like the chimneys at Casa Batllo and La Pedrera they are very unusual. I absolutely love how Antoni Gaudi designed things as simple as a chimney to be not only functional but beautiful. 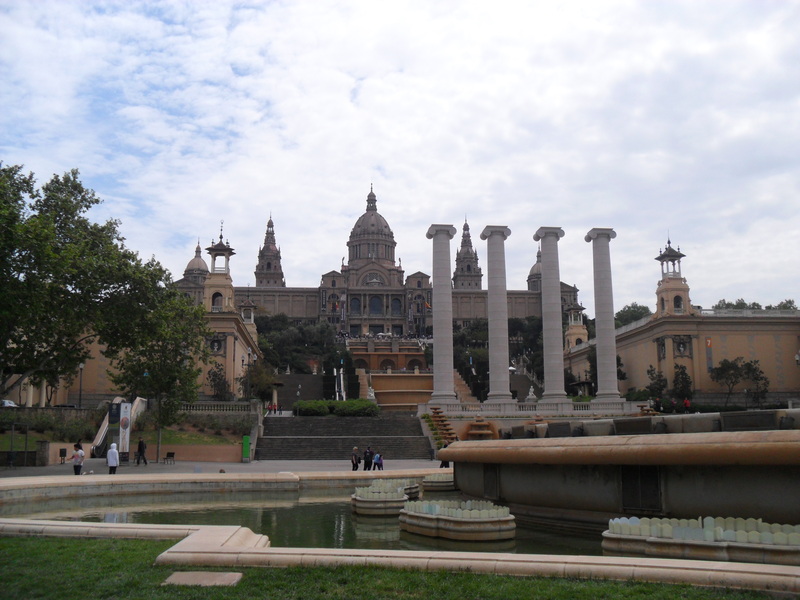 When we left Palau Guell we headed back to find the two Roman landmarks that were of the most interest to us. The first one was the remains of a Roman aqueduct. 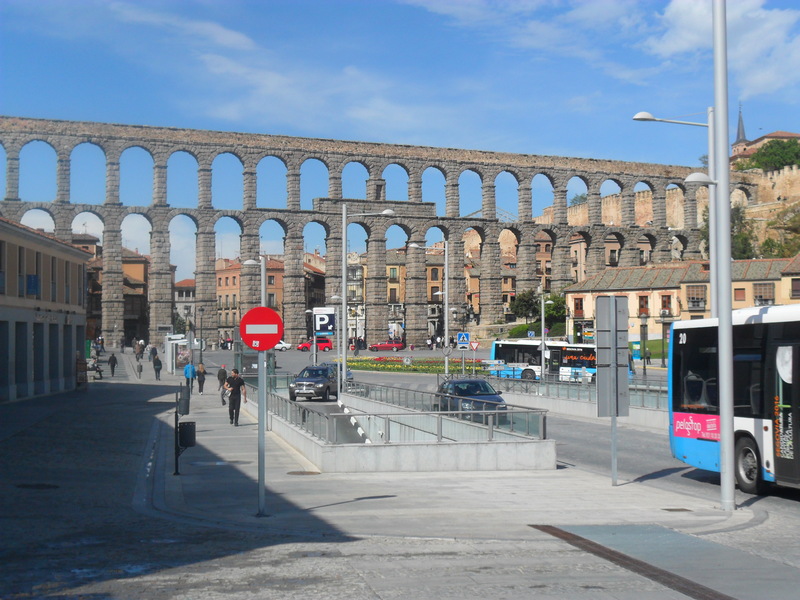 In 2011 we saw the remains of a Roman aqueduct in a city outside of Madrid called Segovia. That aqueduct was so amazing because so much of it is intact. You really can’t miss it. 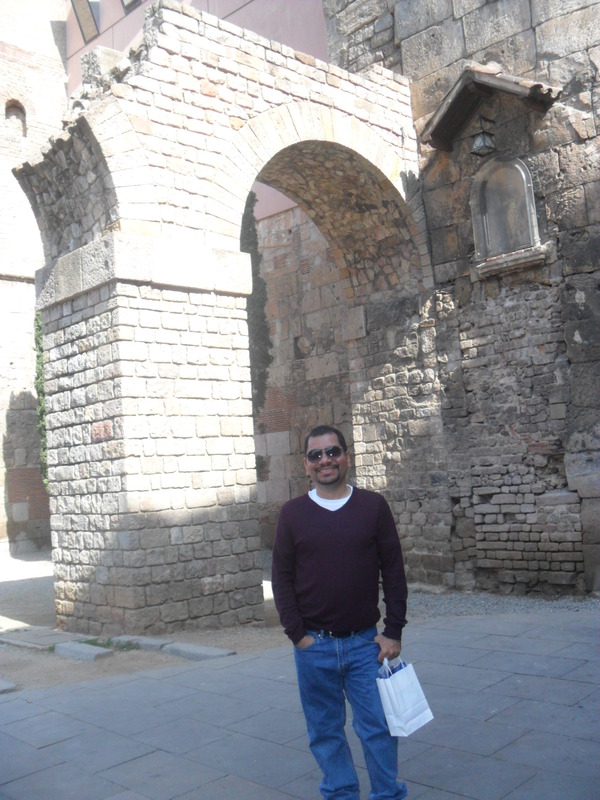 However, the remains of the aqueduct in Barcelona are much smaller. It’s much easier to miss. It turns out we had missed it. It is literally right next to the cathedral of Barcelona which we had visited a few days before but because he had been focused on the church we had missed the aqueduct. That, in a nutshell, is why I love Europe. There are so many amazing things to see that it’s easy to miss one because you focused on another. While the remains of the aqueduct were cool it just can’t compare to the remains in Segovia. Our next stop was the columns dedicated to the Roman emperor Augustus. These columns are very, very difficult to find. It took as quite a while to follow the signs and figure out that they are located off of a little alleyway and squeezed between two buildings. 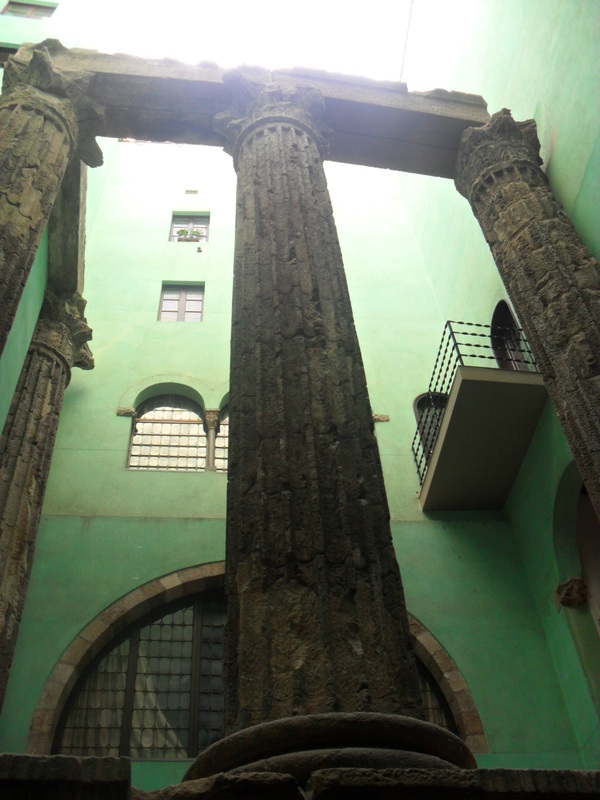 The columns were very impressive. The roman ruins did increase my desire to actually visit Rome. I’ve seen the influence of the Roman Empire all over Western Europe but I have yet to be to Rome. I’d really like to see the center of where all those amazing things spread out from. After seeing the columns we decided to stay good-bye to Barri Gotic for this trip. We made the strategic decision to go back to our hotel and pack up our stuff. The next day we were due to fly from Barcelona to Seville for the second half of our trip. We thought it would make the most sense to get everything packed and then go out and enjoy our evening instead of trying to pack at midnight. As I mentioned in previous blog entries both my husband and I over packed for our trip. We realized that we could run into problems just getting to Seville because we were flying. So we had to be very careful and strategic when we packed. 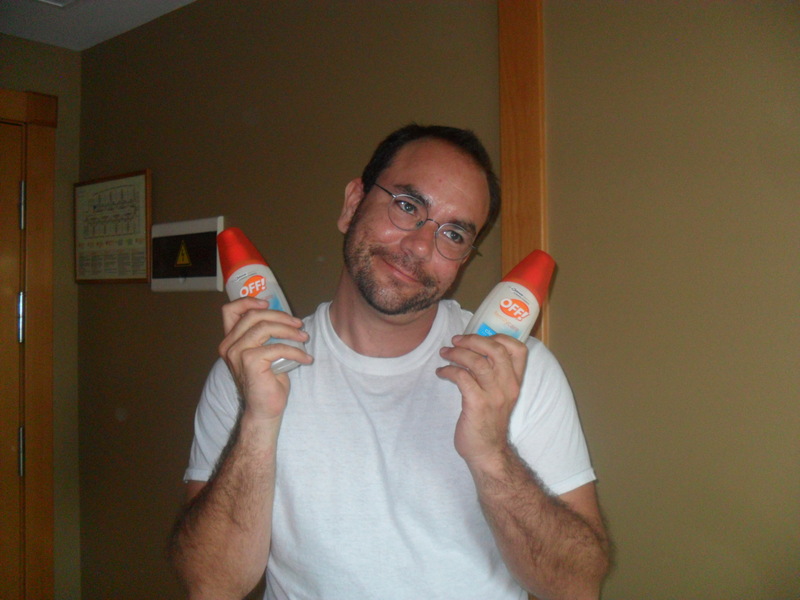 As I was packing I realized that I had never unpacked two bottles of bug spray from my trip to Peru last summer. I felt like such a fool. I decided to leave the two bottles behind. I knew the liquid from the bug spray could weigh my bag down enough to cause me to be over the weight limit. The problem both me and my husband ran into when we were packing is that we now had more stuff than we had arrived with. Because of all the souvenirs we had purchased we both had to do something or we would be over our weight limit for our flight from Barcelona to Seville. My husband came up with the idea of putting all of our pants into our carry on backpacks. It made our backpacks super full but it did take a good amount of weight out of our suitcases so it was worth it. 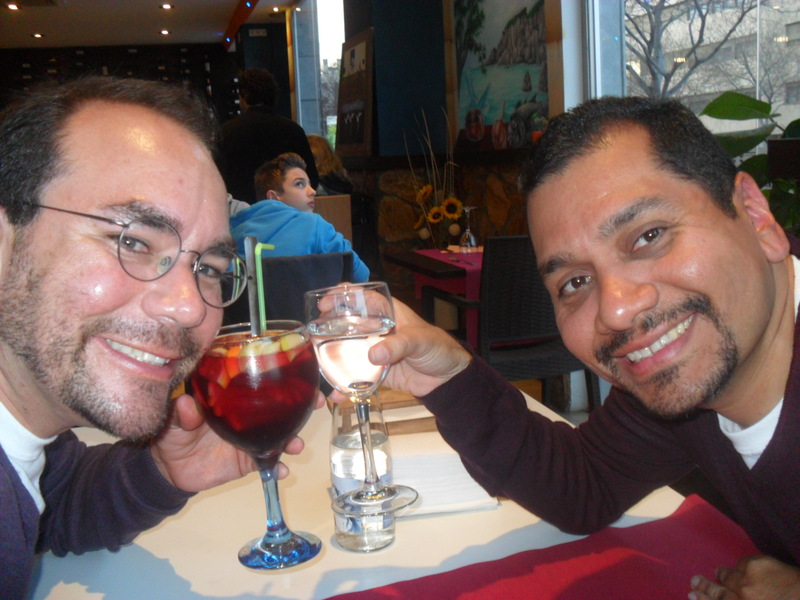 When we were completely packed we went out for our final dinner in Barcelona. We decided to return one last time to our favorite restaurant near our hotel. 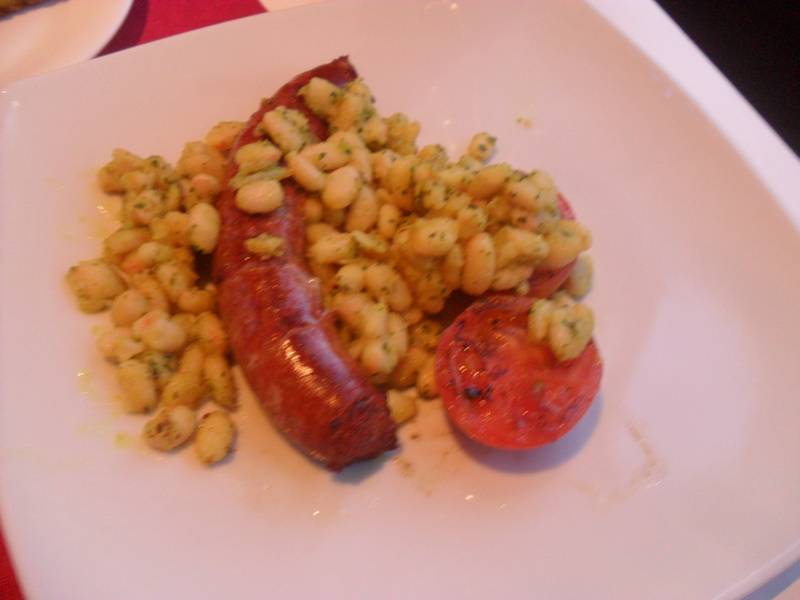 Once again the food was amazing. The wait staff was happy to see us and one of them even gave us a hug when we said we were leaving the next day. After another great meal we hoped back on the metro and headed across the city once again. Our destination was Montjuic. Every Friday and Saturday night the fountains run and they put on a fountain show set to music called the magic fountain. 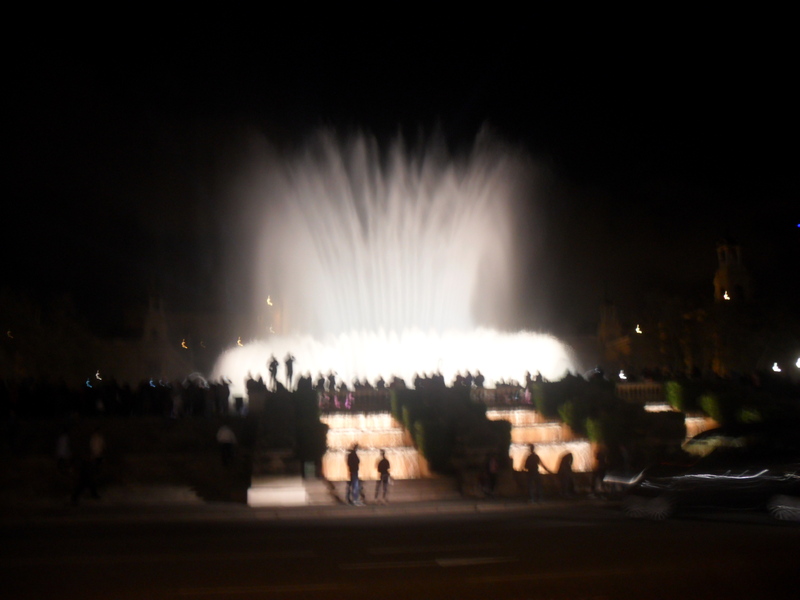 We had seen the fountains back in 2011 but since it was on a weekday they were not running. 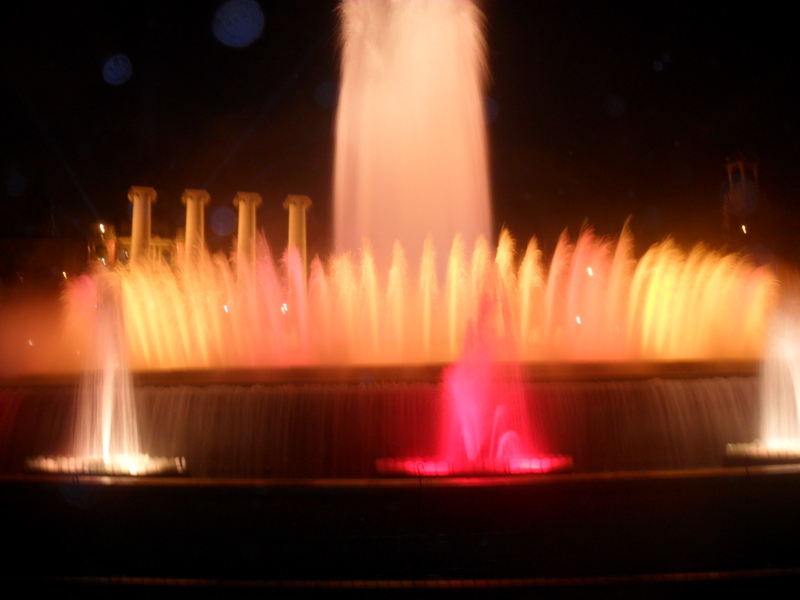 When I had heard about the magic fountain from a friend I knew I wanted to see it the next time I was in Barcelona. When I mentioned it to my husband he was a little lukewarm on the idea but once we were there he changed his mind. The magic fountain was beautiful. We couldn’t think of a better last activity to wrap up our week in Barcelona. As we got off the metro for the last we were filled with mixed emotions. 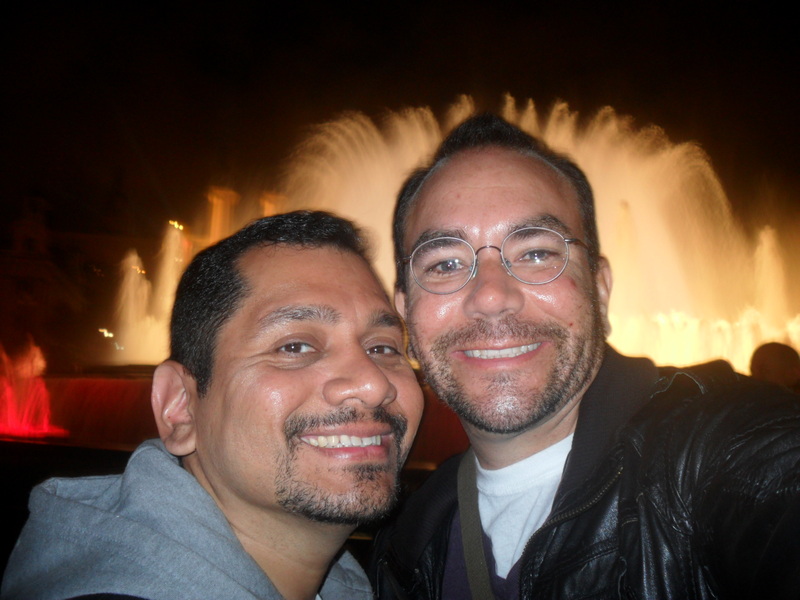 We were so grateful for our time in Barcelona and we excited to see Seville. But we were both sad to leave behind Barcelona. The amazing city that had once again captured our hearts just as it had in 2011.